My friend Julie came over to help me get ready for Benjamin's birthday party this past weekend. As many of our conversations do, we spent some time talking about ourselves and the things we'd do if we had a spare minute to ourselves. Having been on my feet a lot this weekend, her suggestion of pedicures sounded like pure heaven. Unfortunately, I'm not sure when that will actually happen. I know for sure, my feet could really use some work, though. Especially after a whole winter stuck in boots and thick socks! Spring has (finally!) sprung, and I’m teaming up with The Invention Brothers to give you a chance to win a fabulous new beauty exfoliator called The Skoother® Skin Smoother, as well as an iPad Mini! Have you heard of the Skoother? It’s the most effective way to quickly and easily smooth rough skin and calluses on your feet, heels, elbows and hands, and it’s unique design makes it much more effective than pumice stones, emery pads, metal graters (ouch! ), motorized sanders, and other skin-smoothing gimmicks. It’s easy to hold. It conforms to your body, making it quick and easy to use. It doesn’t require batteries. The Micro-Abrasive Screen is rough enough to remove stubborn calluses on your heels, but gentle enough also lightly smooth the skin on more delicate areas like your hands and knees. It has been medically-tested by a team of doctors at the University of Michigan Health System, Ann Arbor. It’s easy to clean. And by entering the Rafflecopter form below, you will have a chance to win one (1) of 20 Skoothers to get your skin ready for summer. But wait - it gets better! 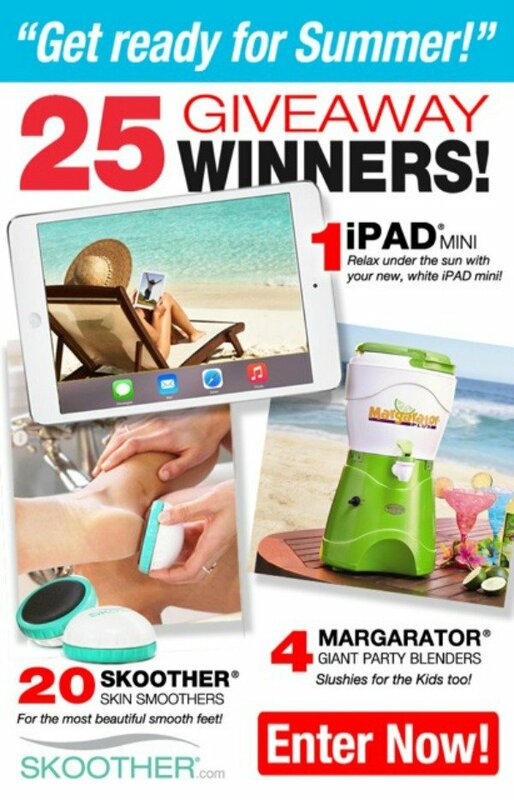 We're also giving away 4 Margarators® (1 Gallon Party Blender) and one (1) grand prize of an iPad Mini! What a great way to kick off the warm weather! All you have to do is complete the form below to enter between April 20, 2015 at 12:00 am EST and April 30, 2015 at 11:59 pm EST. 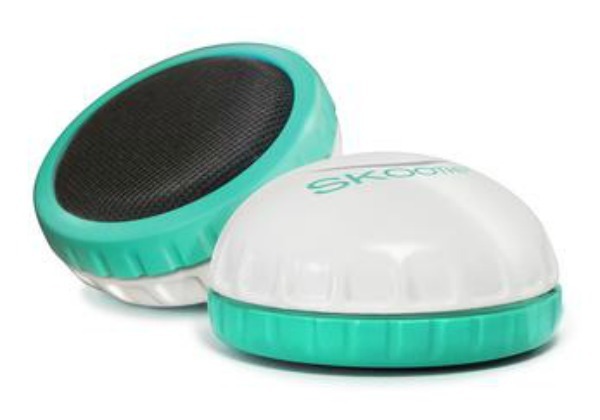 And if you don't win but would still like to be one of the first to experience the Skoother, simply sign up using THIS FORM between May 1, 2015 and June 14, 2015. The Launch Day Special for a Skoother is only $12 + free shipping. We will contact you through your email sign-up to give you more details! Good luck! The Lieber Family blog received no compensation for sponsoring this event, and is not responsible for the delivery of the prize. Prize delivery is the sole responsibility of The Invention Brothers / Comstock Studios Inc. Twenty-five (25) winners will be drawn randomly and notified by email. The winners will have 48 hours to respond in order to claim their prize. If they do not respond within the 48 hours, they will forfeit the prize and an alternate winner will be chosen. This post may contain affiliate links. This is so cool! It is time to start getting our feet ready for summer. I am so ready to wear sandals and go barefoot! !